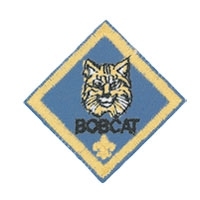 This award is the only Cub Scout badge that can be worn on the Boy Scout uniform when a boy graduates into a troop. Adult leaders who earned the Arrow of Light Award when they were young may also show their achievement by wearing a special square knot on their adult uniform. The Academics and Sports program gives Cub Scouts extra recognition activities to earn. In Academics subjects and Sports, Cub Scouts learn new skills, become better scholars, learn sportsmanship, and have fun. You can get to know a sport or an academic subject that's new to you --maybe astronomy, chess, computers, science; golf, hiking, tennis, or skateboarding to name a few in the program. Belt loops and pins are a great way to help fulfill the aims of Scouting—build character, develop citizenship, and encourage mental and physical fitness. Through a variety of subjects, you can stretch your mind and abilities by exploring the wonders of science, learning about the world, and expanding skills in new areas. You earn a belt loop to wear with your uniform when you complete three specific requirements for each Academics or Sports activity. You can take part in three ways: (1) by yourself or with your family, (2) in your den or pack, or (3) in school. Besides the belt loops and pins, there are other kinds of recognitions for the Academics and Sports program. These include pocket cards, medals, trophies, and a program emblem. For all of your recognition needs visit your Local council service center, Scout Shop or online at www.scoutstuff.org . Once you have earned the belt loop, you can stop. But if you want to do more with the activity, you may complete extra requirements to earn a pin. A good place to display Academics and Sports pins is on the Academics and Sports letter. You can wear the letter on a sweater or a jacket, or display or frame it. The letter does not go on the Cub Scout uniform. There are no special requirements for earning the letter, because it's just for displaying the pins.